Have you guys heard of "hygge"? It's a Danish term and the newest buzz word, described by the Oxford Dictionary as, “a quality of cosiness and comfortable conviviality that engenders a feeling of contentment or well-being.” Think warm knits, glowing candles and fireplaces, staying in bed all Sunday with an endless supply of turmeric lattes (ok, I threw that last one in there). Sign. Me. Up. 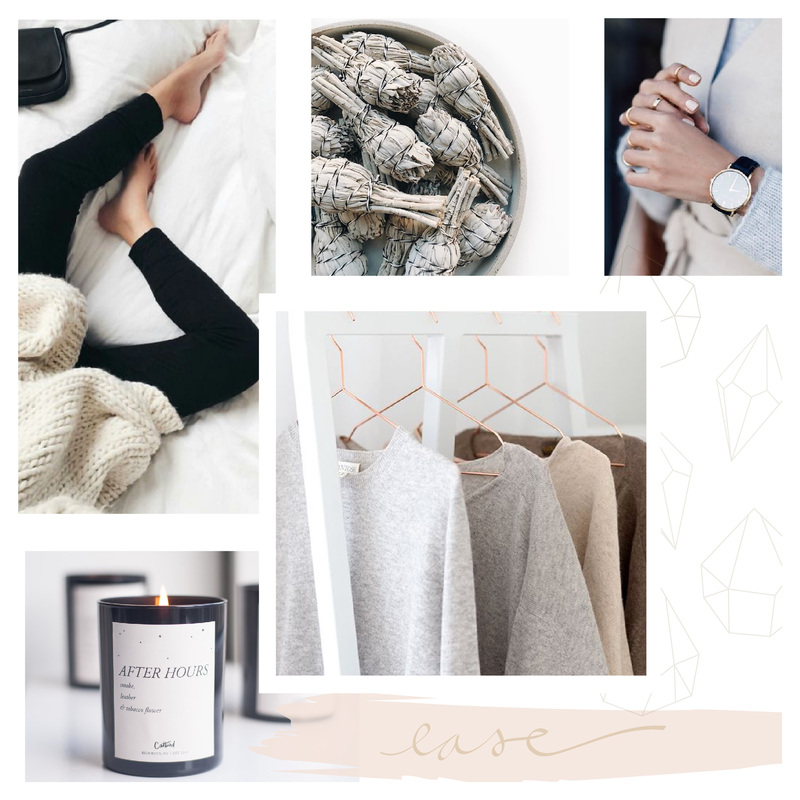 So this month's mood board of soft neutrals warmed up with a little glow is inspired by this idea of coziness.